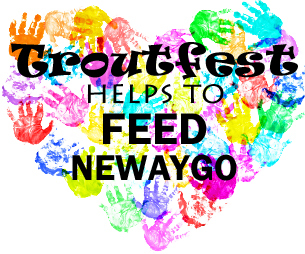 One of this years chosen non-profit organization to benefit from the Troutfest proceeds is Love INC. Community Food Pantry of Newaygo County. The Love INC Community Food Pantry was born out of a collaborative partnership between the Newaygo Food Pantry and Love INC of Newaygo County. In September 2006 the pantry was moved from its previous location in the basement of St. Bartholomew Catholic Church to the Love INC Campus. Since the move, the number of individuals and families served each month has steadily risen. Today, the pantry serves 800 – 1,000 families each month. 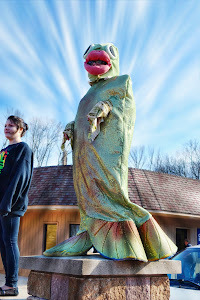 History of Love INC – Newaygo County was founded in 1987 by seven local area churches. Their desire was to help meet the needs of families in the community by creating a network of resources and services that respond to community concerns while avoiding duplication of services. Today, Love INC – Newaygo County has community and partner church volunteers giving of their time, talents and resources in many areas such as: Money Management Classes, Resale Store, Food Pantry, Delivery Truck, Ramp Ministry and the Clearinghouse. Volunteers and staff assist over 1,000 families each month. We are able to offer assistance to so many because of our large volunteer workforce, generous donations, grants and Love INC resale store revenue. We strive to continually mature in our capacity to meet people’s needs. “Helping Churches Help People”. 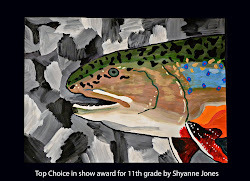 Please join us as we celebrate the opening of trout fishing season and help us to "Feed Newaygo"!